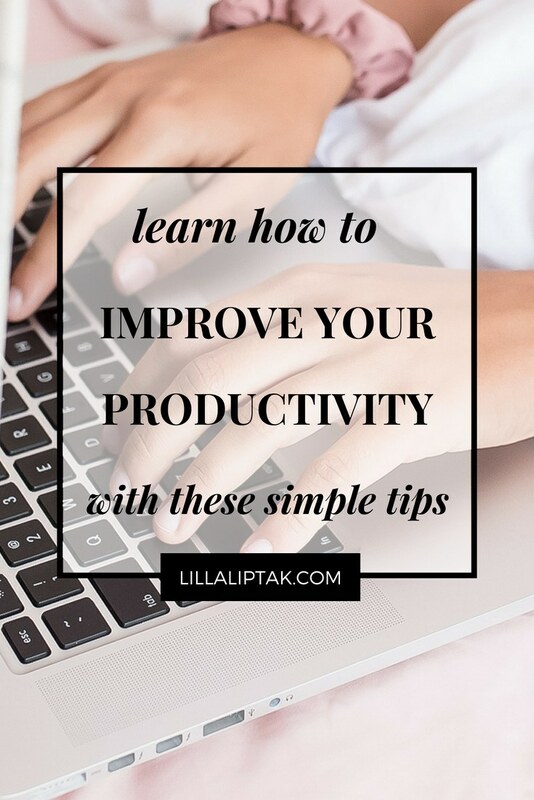 In this post, I share with you 5 easy life hacks to boost your productivity, without burning you out. These are 5 simple, mindful strategies which will bring you closer to your goal! From time to time we all face problems. That´s just part of the game of life. They can literally paralyze us and can affect our productivity. Whenever we face a problem, we are confronted with a mixture of overwhelm and disconnection of our flow. This can lead to feeling stuck in the particular situation. Whenever we are focusing more on the problem instead of on the solution, we feel even more stuck. Approaching a problem in a solution-oriented way, however, puts us literally into another mindset. We tap into the creative side of our brain and start focusing on finding solutions, instead of digging deeper into our problem. This change of approaching problems in a positive way has the effect that we come into motion. We start moving towards the solution and consequently away from our problem. 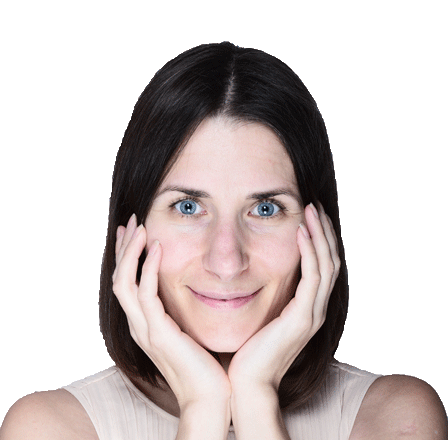 My second tip is a 2-way approach to the main message: select what brings you closer to your goal. It starts with listening, watching and doing things towards your goal. These activities can be used as an invisible force to boost your productivity into the direction of your dreams. The second part of this is saying no to all the things which don´t align with your bigger life visions, goals, purposes and dreams. You might feel uncomfortable saying no to all other things. I totally get it, because I felt the same way, that´s why I even bought a book, called “ Say no “. BUT every time you are saying no to something, you don´t care about, you at the same time say yes to yourself and to the things you care about. Our time on this planet is limited therefore it´s really important to make sure we use it mindfully. Which leads us to tip no 3. For this tip, I got the inspiration from Robin Sharma. He also said a great example which I want to share here with you because I think its a game changer. So here it comes in my words. We often hear from people who don´t realize their goals and dreams the argument of not having enough time for it. At the same time, we see the same people spending every evening after work 4-5 hours in front of the tv. It´s nothing wrong with watching tv. At the same time, however, the argument of not having enough time is not really true when they have time spending it in front of the tv. It´s then just a question of priority. They have the time just don´t use it to pursue their dreams. If we calculate 4-5 hours per day of watching tv 5 times a week. We come to the result of 20-25 hours per week of free time. This is like a part-time job which could be used to pursue their goals and dreams. I loved this example and want to leave you for tip number 3 with his quote. Feel free to pin it as a reminder! This concept is about using the first 90 minutes of every day solely for focused work towards your goal/dream. We usually wake up in the morning energized and ready to rock the world. This energy and clear mind is a great starting point for focused working. It´s more likely that we get way more done with a clear and relaxed mind than throughout the day. Creating a morning routine with focused time for work can help you achieve more goals in a relaxed way. Successful people don´t just go with the flow. Instead, they make a plan and make smart use of their time. They plan time in to tackle their tasks which brings them closer to their goals. Being distracted while working is nowadays one of our biggest productivity killers. I know what I´m talking about as I just hopped on facebook 4 times since I started writing this post and was chatting with a friend whether she should buy certain pants and shirts or not. There are great apps out there which can help us to stay focused on what really matters to us. I personally haven´t installed them yet, but definitely going to try them out. These apps can help you stay focused on what you want to accomplish and allows you not being distracted by anything else. The apps I found for this purpose are the Freedom App, Web Time Tracker, Top Tal Tracker and Stay Focusd. The ability to be connected and online all the time can be a blessing and a curse at the same time. Especially when we want to accomplish something and work with a focus on our laptops. The temptation browsing the web and getting distracted by something else is huge. Social media certainly contributes to this. However, we don´t have to turn away from social media completely. It´s just important that we use our time and the internet consciously. There are 4 amazing apps which can help you stay focused and get more done. The creme de la creme herefore is the Freedom App! This awesome app blocks for you all the sites you are most likely distracted by. 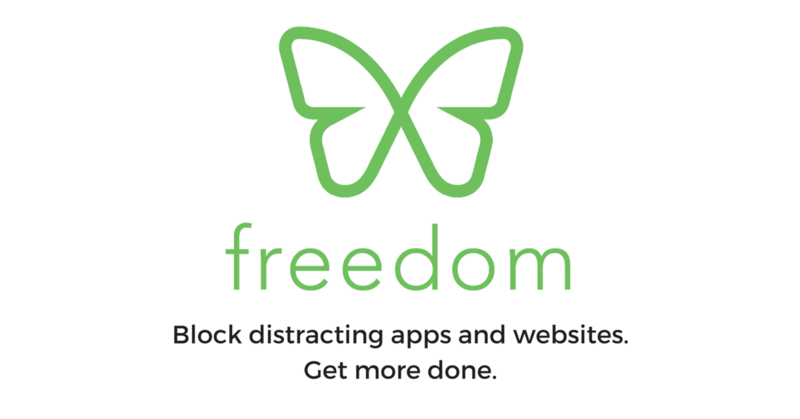 Whenever you want to work with focus and get things done you can use the freedom app which blocks for you the sites you are most likely distracted by. You can, for example, tell The Freedom App that you want to have facebook free time for the next 5 hours. This app than blocks facebook for you for 5 hours and you have no chance to log in to Facebook during this time period. You can use this app on your phone and on your laptop! Another tool you can use is web time tracker. With this tool, you can easily track where you spend your time online. With the chrome extension, you can also see in detail how much time you spend on each site. This tool gives you a great overview seeing where you are getting distracted the most online. It allows you to check your daily stats as well as the most visited domains. Web Time Tracker helps you become more aware of the time you spend online. Another great tool to boost your productivity and help you stay focused is Top Tal Tracker. This tool allows you to set up daily project goals and let you check how much you stick to them. Top Tal tracker tracks your time and gives you every 10 minutes a visual graph of what you are doing right now. If you are like me and love to browse through social media and Pinterest, although you started working on sth else → This tool reminds you to see visually what you are doing. It let you see how much you are sticking to the task you were actually starting to do. Stay Focusd is another great chrome extension for more productivity and mindful surfing. This tool also helps you staying focused whenever you work online and usually get distracted by Facebook or Pinterest. With stay focusd you can set yourself a time limit per day on social media. Once you hit the time limit it will block for you the page for the entire day. This way you can´t be tempted getting distracted by these sites. You might be also interested in the 8 Time management tips to get things done. I believe that we all can be more productive without burning out when we approach our time and goal with a growth mindset. 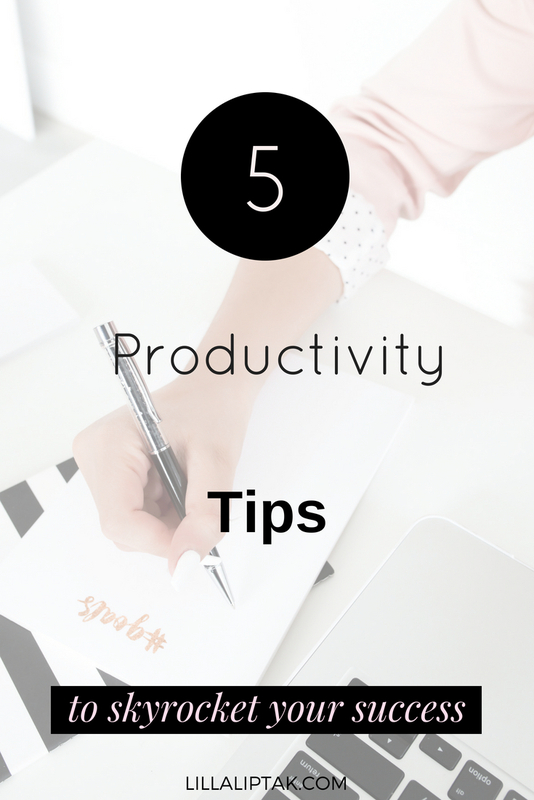 Try out these 5 steps to laser focus on your goal and to increase your productivity with ease! Focus on the solution instead of the problem. Say yes to all things which align with your bigger vision and no to the rest. Plan your day and see where you could cut time and use this time to work towards your goal. This means neither checking emails nor doing random stuff. 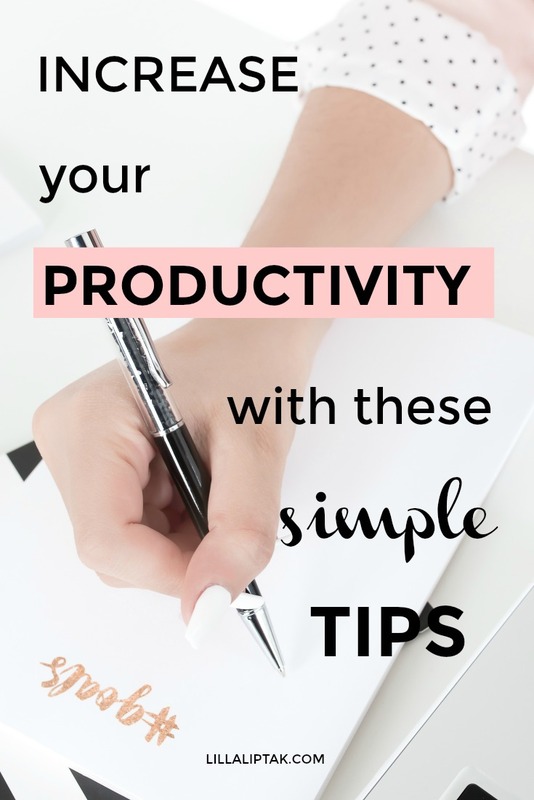 Freedom App, Web Time Tracker, Top Tal Tracker, Stay Focusd are helpful apps you can use to cut out distractions, improve your focus and increase your productivity! 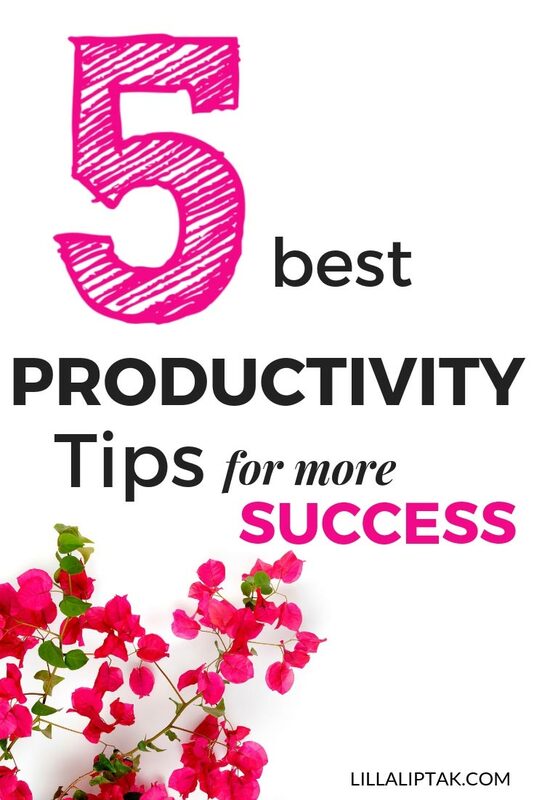 With these 5 easy strategies, you can simply raise your focus, improve your time management and increase your productivity immediately!